We appreciate all you’re doing to grow the ranks of safe, skilled riders. 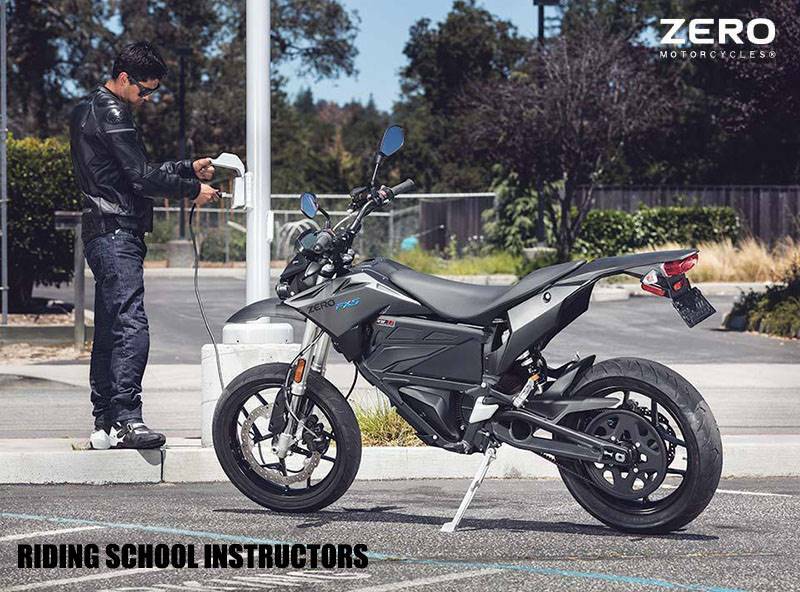 As a result, qualifying instructors with certified rider training programs will receive $500 for Zero S, Zero DS, Zero SR and Zero DSR models or $250 for Zero FX and Zero FXS models at the time of purchase. Certified motorcycle riding instructors with certified United States rider training programs including but not limited to Motorcycle Safety Foundation and California Motorcyclist Safety Program. Motorcycle riding instructor certificate/ID or riding school instructor documentation (must provide dealer with copy). May not be combined with the following programs: First Responder Purchase Program, Military Purchase Program, MSF/CMSP Student Rider Purchase Program, and VIP Purchase Program (“Special Sales Programs”).